Reuniting schools with Higher Education, VET Centres and IT Specialists, STRIDE is represented by seven organisations of six different countries with a common objective. I.I.S.P. “Via Pedemontana” is a vocational high school with different departments: tourism, graphics, fashion and catering, including hospitality, F.& B. sale and service and cooking. It is a medium-size school located in Palestrina and Cave, quite close to Rome, with about 1000 students and 150 teachers. The school is provided with multimedia/linguistic labs, as well as with specific workrooms for practicing all our courses. We aim at developing a life-long learning need, encouraging creativity, innovation and a business-oriented mindset. In addition, the promotion of a sense of fairness, social cohesion and active citizenship are other important goals we mean to achieve. Last but not least, our school always welcomes and includes any kind of disabled and disadvantaged people. ITB focusses on the interaction of work, technology and education and on people’s influence on this triangle, aiming at a close interaction between reforming vocational education and training and innovation in work and technology. Our mission is to contribute with employment by promoting training and innovation in digital competences all over Europe, developing the digital skills needed in education for ICT professionals, labour force and all citizens. 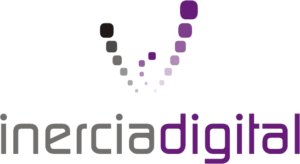 Inercia Digital has experience in international and European projects, both in and out the Erasmus+ programme with several projects where we participate. Based on its expertise area, during the last years we have created and lead websites and e-learning platforms for education institutions/providers (such as schools, adult education centres, VET, etc. ), in order to integrate ICT in their daily activities while developing extensive trainings on digital competences, web tools, e-learning, virtual opportunities and collaborative learning. Inercia Digital has received the certificate by AENOR as Young Innovative Company and we are implementing the ISO 29990:2010 – Learning services for non-formal education and training – to offer a better Learning services. Consorzio Ro.Ma. is a Vocational Education and Training provider and a business consulting organization, founded in 2003. In particular, operating in the services industry, our company performs consulting services, training, events organization, fiscal services for enterprises and scientific research. Consorzio Ro.Ma. is a certified training provider by the Lazio and Campania (Italy) Regions and is specialized in the planning, design, delivery, management, monitoring and evaluation of training paths at various levels: school, VET, Higher Education and Adult Education. Furthermore it performs master and customized training courses on the basis of the environment and customers’ needs. Over the years, Consorzio Ro.Ma. has built a network of collaborations and relationships at local, national and European level, which allows us to promote and successfully implement research and training activities addressed to different sectors’ needs. It intends to be an innovative and in continuous evolution network of professionals that realizes focused interventions addressed to businesses and individuals, in order to increase and foster their professional development, and so to generate growth and economic wealth. With the aim to ensure an adequate quality level of training and consulting services, Consorzio Ro.Ma. uses internal and external human resources with high professional skills and competences for all the activities related to analysis, design, consulting, teaching, tutoring, administration and reporting; all professionals are periodically evaluated according to procedures expected by SGQ. Our school provides students with a variety of activities, which enable them to develop their hobbies and interests. 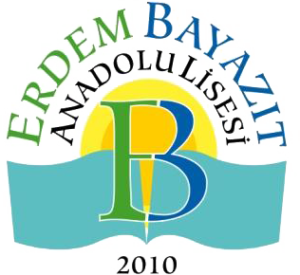 The school takes a number of actions, such as an implementation and development of international projects. Our participation in this particular undertaking will promote information and experience interchange, so that the diversity of educational systems change into a source of enrichment. In addition, it will enhance cooperation between teachers, students and parents. Such actions will help to know and respect the others, break up stereotypes and recognize all the points we (Europeans) have in commoh, which as a result unite nations. We want to emphasize that cooperation between schools, representatives of local government authorities, as well as local organizations is our priority. Our school is a foreign language based public high school. It has over 850 students aged 14-17 and 70 teachers. Students learn English, French and German as foreign languages. All of our students aim academic success at universities so they are very good at school lessons. But for being successful! in bussiness fields, they need to have some skills such as leadership, critical thinking and entrepreneurship. By the help of this project, they will boost their entrepreneurial mindset of science, technology and IT and be ready for global challenges. Our students come from different social and economical level groups. Our area has got immigrants coming from the rural areas which surround Golbasi and underdeveloped cities and towns of Central Anatolia. We see this diversity as different cultures in one school. We have involved in national and international projects to improve the quality of education and social and cultural interaction of the students. We participated in a Comenius project called “DROPS” in 2013. Besides that, our teachers and students participate in TUBITAK Science fair which is held every year.